For the first time in twenty years, WGBO-TV is once again airing English-language programming. Spanish-language WGBO and other Univision-owned stations agreed a few months ago to carry a new English-language – yes, English-language digital subchannel network called Get TV from Sony Pictures Television, mainly featuring pre-1970 classic films from the Columbia Pictures Library, which Sony owns. Classic movies featured on the network include Mr. Deeds Goes To Town, The Producers (1968), and Who’s Minding The Mint? The diginet competes with the new Movies! network from Fox Television Stations and Weigel Broadcasting, and Tribune/MGM’s This TV, which launched in 2008. Univision – a major Spanish-language broadcaster in the U.S. – agreed to carry the English-language network on its subchannels of Univision and Telefutura and was launched on February 3. The move is a part of a wider effort on Univision’s part to expand its reach to non-Spanish speaking audiences. Univision also owns a English-language radio station: Rhythmic Contemporary KBBT-FM in San Antonio (The Beat, 98.5 FM), which it launched in 2000. In Chicago, Get TV is currently airing on WGBO-Channel 66.2, with Univision network programming remaining – in Spanish, of course – on 66.1. No cable or satellite deals have been struck to carry Get TV as of yet. 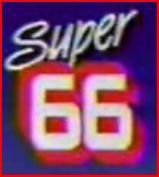 WGBO was not syndicators’ first stop when it came to pitching and selling syndicated fare in the nation’s third-largest market; in fact, not-so “Super 66” was often last. WGBO owner Grant Broadcasting went bankrupt in late 1986 and went into receivership a year later, with Combined Broadcasting taking over operations. Univision bought WGBO in 1994 and flipped it to Spanish-language programming on December 31, after its part-time contract with WCIU expired. The last time any English-language program aired over WGBO were weekly syndicated reruns of Beverly Hills, 90210 in the first few weeks of 1995. 90210 reruns would eventually move to CBS’ WBBM-TV.